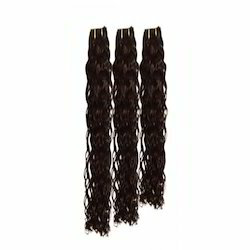 Offering you a complete choice of products which include raw human hair, human hair extension, weave hair, weft wavy hair, human hair extensions and body wave hair extensions. 100% raw temple hair natural waves. 100% human hair Single donor Natural color. 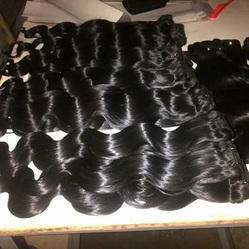 we are engaged in manufacturing the best quality of Weave Hair. 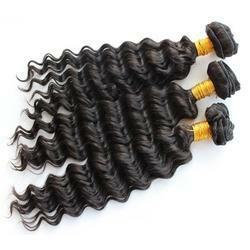 We manufacture and supply the premium quality of Weft Wavy Hair. Its rich attributes such as superior texture, excellent sheen, and tangle-free nature, make the weft wavy hair highly demanded in the spa. By following quality assurance procedures, we assure that the quality of weft wavy hair for the spa is never compromised. Size: from 8" to 20-32"
Hair is pure virgin hair. 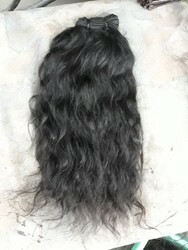 we have all body wave and water wave in natural. colors are natural black and natural brown.